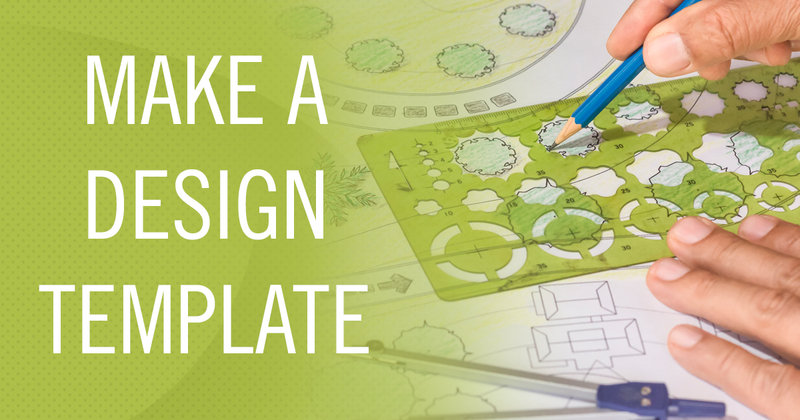 See how making a design template can benefit you and your business. When you have other decisions to make, other things to be thinking about, it is nice to have certain life shortcuts to call upon to help save time. Also known as life hacks, these are useful things you can rely on to get something done without having to expend much effort. In personal style you have outfits you can rely on to look good. In cooking you may have a few go-to dishes you can cook fairly easily without much effort and get good results. In this vein most people are not UX designers, and while some people would like to dabble more in design, most people have other things to focus on. Making sure an app is functioning correctly is where most people focus their attention. When you can’t spend much time on the visual design of something, having a pre-planned style saves time. The best piece of advice is to create a design template file. I have a file that is full of objects I use all of the time. This saves me time at the beginning of each new project because I don’t have to redesign the most common components. Having all of the objects in one file also saves me the time from having to hunt & peck through old projects looking for particular objects. You just create a master document where all of the objects are formatted in the same style and keep it somewhere accessible. If you are working in QlikView, or just want some good ideas in general, you can download the Developer Toolkit which is an app that not only provides well designed objects but also gives some UX suggestions such as organizing your app according to the DAR methodology. If you are working for a larger company they will very probably have a brand style guide. Style guides layout the rules for using the company logo, the approved colors, fonts, and other design considerations. Sometimes people look at brand guidelines as limitations on their creativity - that style guides are cramping their style. Well it’s true, part of the purpose of a style guide is to stop everybody from doing whatever they want. A brand should have a single unified voice and not look like a bunch of people all went wild. Depending on your perspective style guides can be liberating, freeing you to have more time to focus on UX challenges and scripting development instead of focusing on colors & fonts. When creating your design template: save time and use the style guide to help make smarter creative decisions. Do your future self a favor and set aside some time now to create a design template where all of the objects have a consistent design voice (typefaces, weights, colors, etc.) Your future self will be free to think about other things and thank you.